It is the oldest architecture of the operating system. 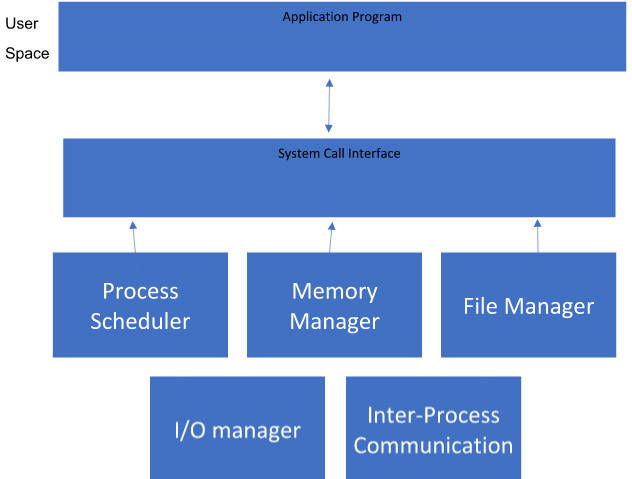 We know that all the core software components of the operating system are collectively known as the kernel. The kernel can access all the resources present in the system. In the monolithic systems, each component of the operating system is contained within the kernel. All the basic services of OS like process management, file management, memory management, exception handling, process communication etc. are all present inside the kernel only. Linux is a good example of monolithic kernel. Addition of new features or removal of obsolete features is very difficult. Security issues are always there because there is no isolation among various servers’ present in the kernel.